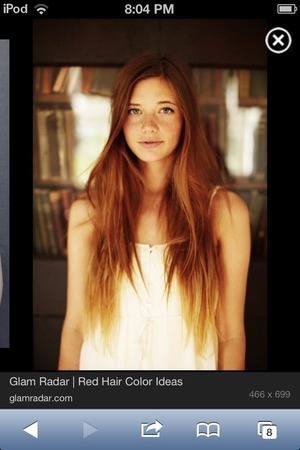 I have dirty blonde hair and I would really like to have a cool color. I know that brunettes can color their hair red but what color suits blondes? Black..blue..pink. 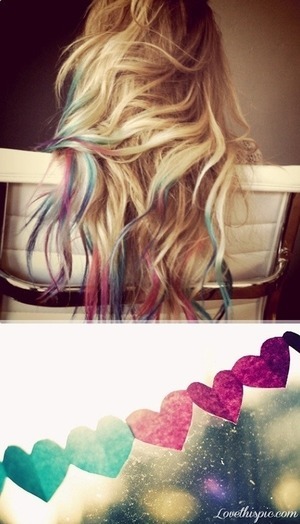 I honestly think blondes can make any color work...are you trying to just put in streaks? Or do your whole head? 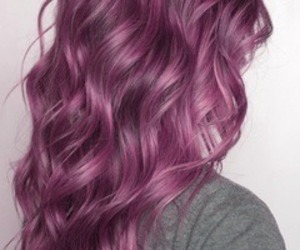 I really like how light purple looks on blondes. Its different and kinda weird but super duper cute. I think blue, pink or red would suit you! 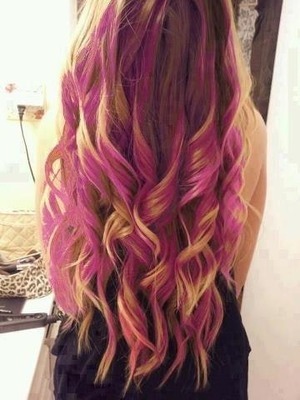 I really like the pink on top then blonde on the bottom!! 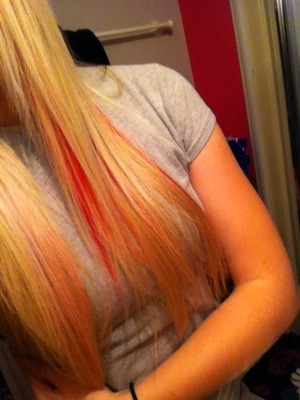 I had pink streaks and I loved them! I'm blonde too! 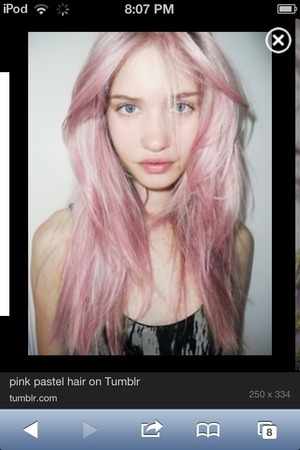 Well I mean I'm about to dye my whole head teal...so I really think you just have to pick a color and go for it. 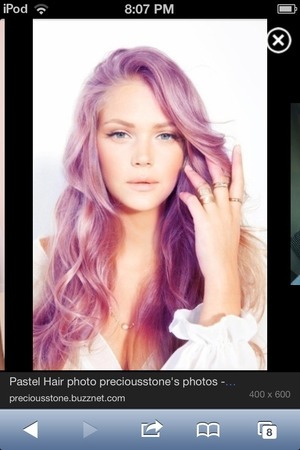 Brown underneath is so pretty, but purple or somethings fun too. 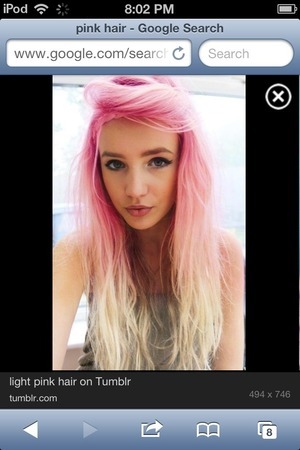 What colour to dye my hair?